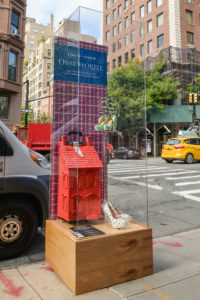 Shop your favorite brands and discover the accessory-inspired public sidewalk art installation created by the BFA Design department from New York’s School of Visual Arts. Join us for a free public walking tour of the exhibit at 2pm each Saturday. Please click here to register.